The Sheepdogs have announced details for a run of European tour dates, including a London headline show at Oslo on November 17 2015 (having sold out The 100 Club on their last London leg). The 7 date run of shows will follow close on the tail of The Sheepdogs’ fifth album release’ Future Nostalgia’, which was released on October 2nd, 2015 via Dine Alone Records (City and Colour, BRONCHO). The highly-anticipated collection brings the band back to their 70s-rock inspired roots and is the follow up to their self-titled, award-winning album in 2012. Fans can order the album on iTunes, and can also order bundles including merch from http://www.thesheepdogs.com. As well as the tour announcement, the band have also released a new video for their latest single ‘Downtown’, taken from the forthcoming album. 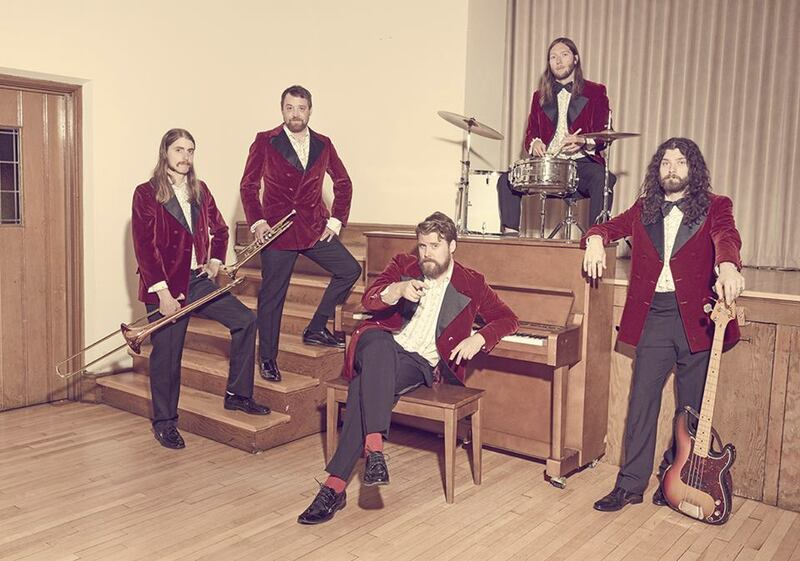 Formed in Saskatoon, The Sheepdogs have followed in the footsteps of Canadian rock legends including Neil Young, The Band and The Guess Who with a bold take on classic guitar rock and polished retro sound. The band came into the national spotlight in 2011 as the first unsigned band to appear on the cover of Rolling Stone, which led to a performance on Late Night with Jimmy Fallon and a special appearance on Project Runway. A live favourite, The Sheepdogs have played at numerous festivals and headlined tours across North America, including performances at Bonnaroo, Coachella, Lollapalooza, as well as opening for acts like Kings of Leon, and sharing the stage with Jason Sudeikis, Will Forte and Justin Long at Stones Fest. For their last self-titled LP, The Sheepdogs worked with Patrick Carney of The Black Keys to produce the collection, which debuted at No. 1 on the Canadian Top 200 SoundScan Chart, and garnered three No. 1 singles. The band has also won four JUNO awards, and been nominated for seven over their impressive career.